The best 3DS emulator out there period. This Emulator simulates the 3D effect using anaglyph type 3D or stereoscopic 3D! Of course you can also play normal in 2D. The official site (3dsemulator.org) says Mario Kart is 100% working however we haven’t tried that one out yet. If you are a gamer and want to try out the 3DS games without buying an expansive Nintendo 3DS then this software is your best friend! We don’t have a tutorial showing how to configure this emulator but we will create one in the feature! Many people have problems with the bios configuration so we made a tutorial for those. After you have download the files, first open “eMu3Ds_Setup.zip” extract the .zip file, open the setup file inside it and install the emulator. Now install the bios, Warning: make sure its in the same directory as the installation PATH of the 3ds emulator! If you installed everything correctly then you can open the emulator and there wont be any errors. Feel free to leave a comment if you have any problems or just want to say something. i finaly got it to work with Pokemon X! can you please tell me where you got the emulator and rom. Hey, from where do you get pokemon x. 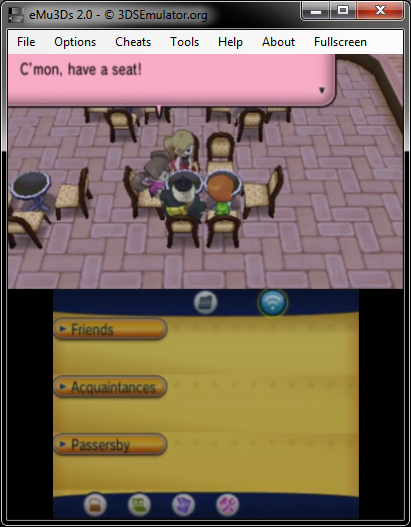 From where can we download pokemon x or y 3ds for free without any surveys? i get and error that say’s failed to initialize component, make sure that you have the latest plugins dll files installed, or try reinstalling the software. I did them both and it still say’s the same thing. I got that kind of error, too! Uh… Does this work on windows XP? dude they work fine, i just downloaded! btw, thanks for this emulator it works. I am not able to install net framework I can download but not install when I try to appear, it is not possible to assign this security ID as owner of the object. hey man. how to download net frame work? the installer didn’t work why? tell me hw to download the net. frame work? failed to initialize component, make sure that you have the latest plugins dll files installed, or try reinstalling the software. the download link doesnt work. is there an alternative mirror to download this? yes they do actually..I just clicked like Once and the page reloaded to which I can see the DL links..
it runs on Mac OSx? the mirror 1 link is broken, says removed for copyright. where can i find a list of available roms??? -Deos this work on windows 7? – Mirrors does the same as normal download ones? -Do i need .NET Framework for Mirrors? You need WinRAR or a similar file archive program to unpack it. Where can i get da plugins? Can I know its System Requiment? Will it work on xp? I have failed to install .NET!!!!! Any release for mac coming soon ? I m install 3DS Emulator and there is no error. Can i now play mario kart 7 on my computer? it doesn’t work for mac and/or macbook pro??? when ail that be up? Run the installers and it should detect the folder where your emulator is installed. It works on Linux ? Where can i download the bios? Should be in ‘C:\Program Files (x86)’ its the default installation folder. is pokemon x run on this? tell me how were u able to play it??? missing shortcut 🙁 can’t find emu3ds.exe ????? Can you post a link for pokemon X? 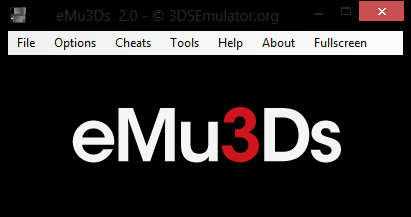 should i put the 3dsbios folder in the emu3Ds folder? or put all bios files directly in the emu3Ds folder?? help!! Wow thats really nice, Thank you! i’m trying to download the BIOS but the installer never downloads the BIOS … can’t u just put the BIOS it self ? Everytime i use the BIOS installer it opens a little window , it seems like it’s downloading something and then it shuts without adding anything. Can u give the actual BIOS or is it just on WINDOWNS 8 that it never download ? and i cannot set a location for the bios when i install it ..
try’s to get you to agree to download loads of crap along with it. I download it and I get the bios files too .but when I open the emulator it said the emulator is not activate. please activate it.then it goes to a survey link .please help me . my computer keeps deleting the bios file. False positive from virus scanner is common problem.